One of the biggest cities in the world is Tokyo. Travelers from all around the world with various nationalities visit every day and enjoy this buzzling city. There are many unique & entertaining bars which offer extraordinary experiences. One of them is a “Shooting Bar”. It’s a nice place for fun night. “Shooting Bar EA” is located in Kichijōji area which is known for its fashionable styles and is popular among youth. You can enjoy alcoholic drinks, meals and shooting airsoft guns. GAINAX, a Japanese anime studio famous for productions such as EVANGELION is the owner of this bar. Many of the workers at Gainax love airsoft guns. That was the reason they started this bar. In the bar, there are many airsoft guns. There are 3 shooting ranges with actual range up to 10 m. The staff at this bar welcome the beginners and teach how to shoot with the airsoft guns. Let’s go to the unique bar in Tokyo! a “table tennis bar” where you can enjoy table tennis or sports.” Fishpond izakaya” for fishing lover’s.” Arabian bar” where you can enjoy short play in the bar decorated with Arabian night’s world and many more. There are many popular bars where you can enjoy all kinds of entertainment. There are also many izakaya. Visit many of them and find your favorite one. Sinjuku is one of Tokyo’s bustling areas. There are many izakaya & bars. 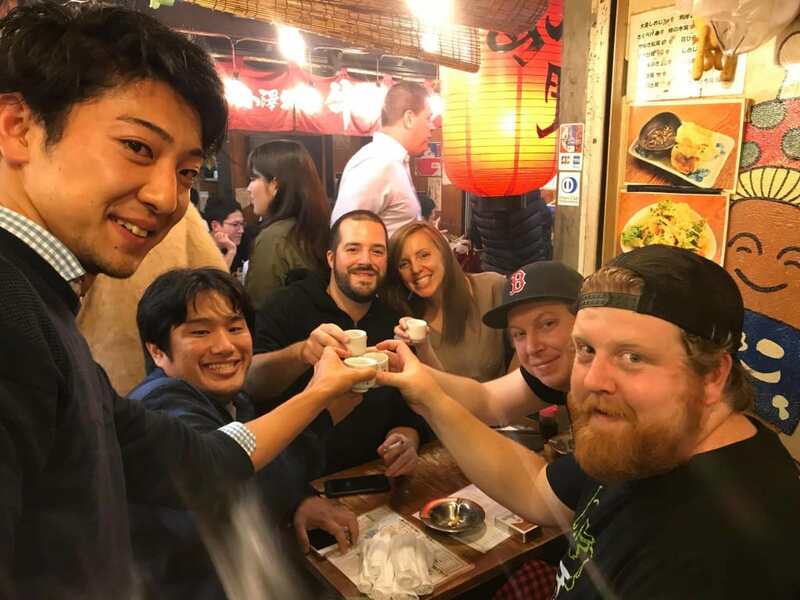 Shinjuku is a nice place to do Tokyo Pub Crawl Tour also for many foreigners who live in Japan and for tourists. Enjoying izakaya & bars then go to a ramen restaurant!